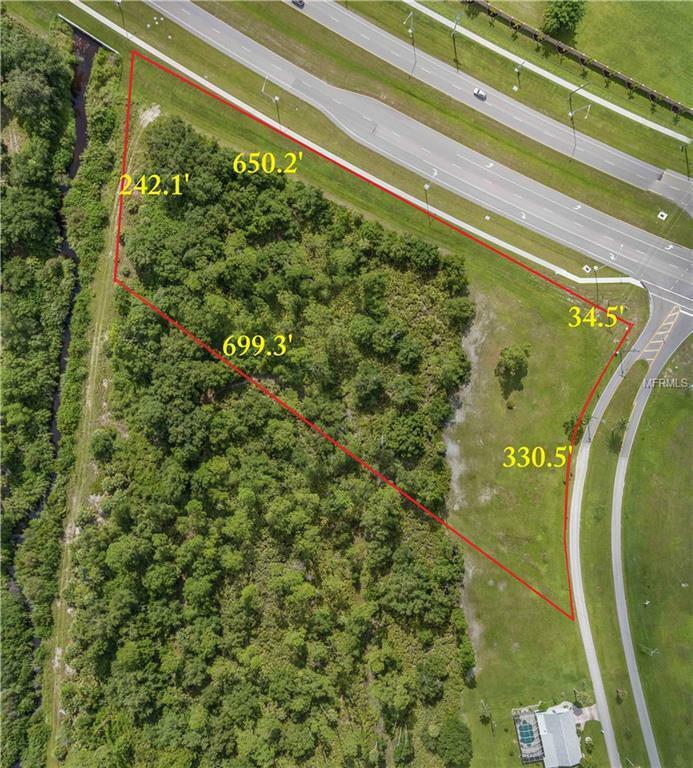 4 Acres +/-, New Highway Frontage Recently 4 Laned Burnt Store Road in Charlotte County. 685 feet on Burnt Store Road surrounded by residential neighborhoods. Burnt Store Road is a main road from Cape Coral feeding to I-75 at Exit 161, Jones Loop Rd. 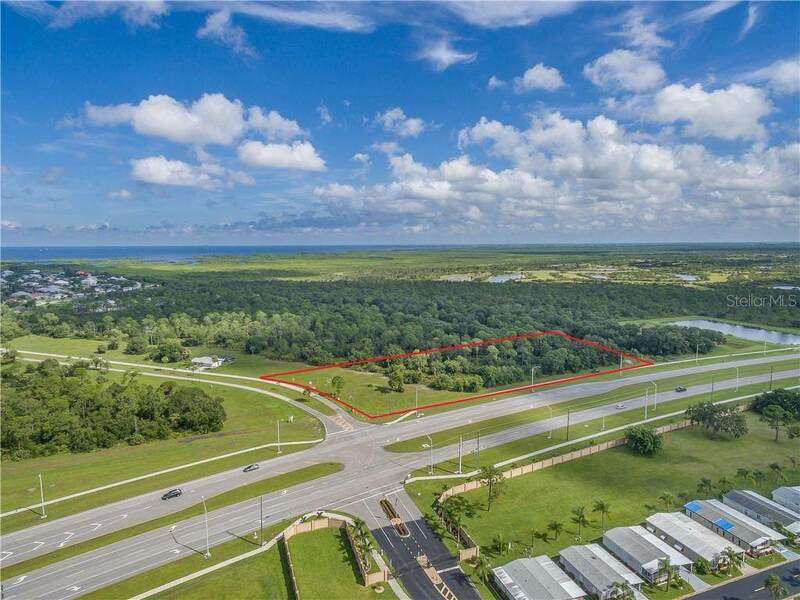 Zoned CG this property is ready for your commerciial project. 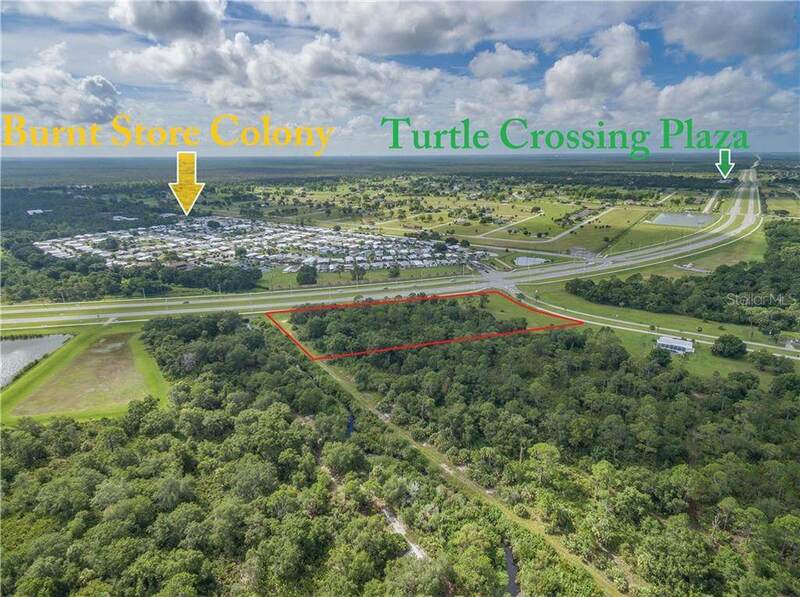 Just right for a gas station, strip mall or stand along building, this property is ripe for a neighborhood supporting business. 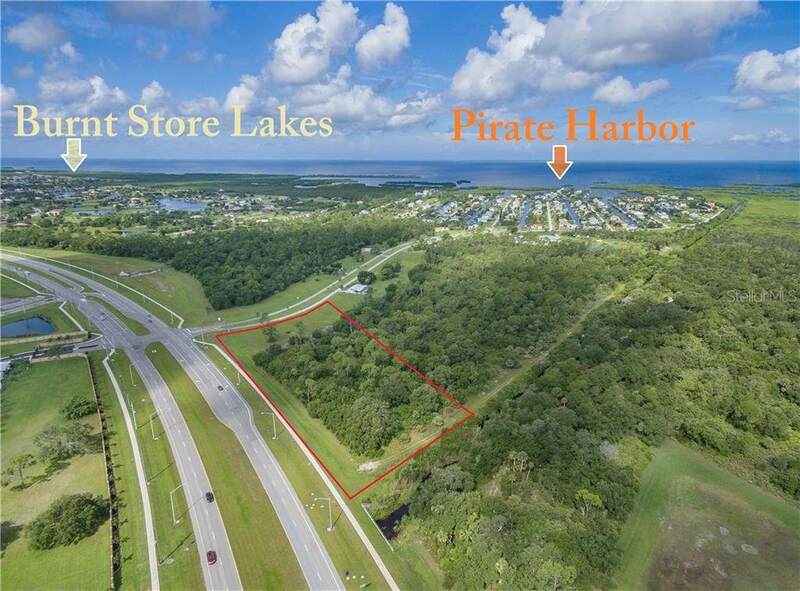 This parcel is at the corner of Burnt Store Road and Yacht Club Blvd as a commercial highway front outparcel of Pirate Harbor, a waterfront neighborhood with upscale homes that have direct Charlotte Harbor sailboat saltwater access. There is a median cut through for Yacht Club Blvd off of Burnt Store Road, so vehicle traffic has easy egress and ingress both south and northbound. This cut through lies just a couple hundred feet north of the intersection of Zemel Road that leads directly East to US41.